Something very disheartening has happened in the blog world in the 5 years since I started, and it has escalated over the past 2 years: intolerant trolls. I suppose some of the attention has to do with my blog links being spread to a wider audience due to Pinterest, Food Gawker and Tastespotting. Folks visiting here may not understand what this blog is about, and are disappointed when I don’t live up to their expectations based on the type of site, Pinterest board or Google search that brings them my way. This part is easy to fix: this blog is about safe food for children with life-threatening dairy, egg and nut allergies. This is not a natural food blog, it’s not an organic blog, it’s not a paleo blog. It’s not intended for vegetarians, vegans, paleos, frutarians, locavores, raw foodists or other people electing to eat a limited diet. For those choosing these restricted diet lifestyles, awesome. Some of my recipes may accidentally fit these food choices, but is not the heart and soul of why this blog exists. I’m very happy to share creative recipes that meet our common goals despite our diverse motivators. But it still doesn’t explain the second part…the rude comments and attempts to bully me into making “politically correct” foods for my family. That behavior is part of something larger, and less easy to fix. There certainly is an uncomfortable movement afoot to dictate the minutiae of our lives from the types of lightbulbs we may buy to the proper packed lunch for our children. Alongside this effort to dictate, comes the movement to silence and shame those who don’t toe the line. Well, I happen to be a girl who loves liberty, is nearly impossible to shame and certainly won’t back down from feeding my kids as I see fit. Somehow, we’ve lost the basic American idea of doing your own thing and letting others do the same. What happened to Thomas Jefferson? If it “neither picks my pocket nor breaks my leg”…what does it matter to me? Live and let live, folks. Ease up on the nanny state. Just as I would never dream of going to vegan blog, insulting the writer & demanding a steak recipe… please don’t come to my blog and get worked up about marshmallows or honey in my homemade ice cream recipes. To paraphrase a pro-choice bumper sticker, “Against processed foods? Don’t eat them”. But I won’t apologize for using Bisquick, Jet-Puffed Marshmallows, Rich’s Whip, or Jello. Life is about balance, and I’m very comfortable in the balance I’ve found between homemade bread and the occasional Pillsbury Crescent Roll. Food is meant to be enjoyed and fun. That being said, I still don’t know how to deal with those leaving rude comments. Some, I’ve deleted. They’re just too horrible to let stand. Some commenters, like “Save the Children Sheila“…I’ve taken to the mat and they eventually back down. The most recent comment by “Jess B” is quite amazing in her ability to insult my recipe, my choice in how to feed my children, the competence of our diagnosing allergist and my chosen career…all in one comment prefaced by “God Bless!”. For now, I’ll leave the more ridiculous ones (like Jess B) for my friends and family to toy with. The really bad ones, I’ll just delete. In the meantime, hopefully Americans will pull themselves out of this phase, and remember how to be decent and tolerant of individual liberty once again. I’m sorry. I just assume some people are mentally ill or have more time than common sense. Please don’t stop posting/blogging because I love your ideas, thoughts and appreciate hearing from a mom like me! Thank you for blogging! I look forward to your posts. I have a 27 month grandson who is severely allergic to eggs, milk, soy, tree nuts and peanuts. I have found your blogs and recipes very helpful and informational. I’m so sorry that others just can not understand that people with food allergies their way of eating and diets are, just plain and simple, a matter of life or death. No fad diet here folks. We feed our children or ourselves what ever works to fit around the allergies. I hope you take the negative comments and turn them into something positive. Your doing a fantastic job. Sorry you have to deal with the trolls! As I’ve been known to tell my kids “Some people are just jerks!” I for one would like to say think you – I’ve used many of your recipes for my family (oldest son is dairy, egg, peanut & treenut allergic) and had GREAT success. The oatmeal cookies and turkey meatloaf are regulars in our rotation. I agree that it’d be great if people could just focus on their own lives and leave others alone – I sure wish they sold Rich’s Whip near me and (gasp) we’ve even been known to eat a burger and fries at McDonalds! Keep up the great blog, recipes and work – there are many of us who appreciate it! I am another fan of your blog. My kids have severe FAs and fitting into the “normal” world is a challenge. I frankly love the fact that you incorporate a little junk food into your recipes. My kids have so many dietary restrictions that a few marshmallows here and there aren’t going to kill them. Please, please don’t stop blogging. I so appreciate and agree with this post and love your recipes. Well said and well put!!!! Cheers to you for addressing those who feel the need to bash and assert themselves via your blog! For those of us who have children with food allergies (2 of my 3 do), PLEASE “keep on, keepin’ on!” You do the rest of the non-judge mental world a whole lotta good!!!! I just recently found your blog and have truly enjoyed it. I also blog about being the mom of a severely food allergic child. The whole reason I started the blog was because I didn’t think there was enough info out there for moms like me. I’m not vegan, don’t use all organic ingredients and love a good shortcut. Fortunately for me the trolls haven’t found me yet! Keep on doing what you do…I think its great! Darn those trolls! Our children share the same allergies, and I really enjoy the blog. Keep up the good work! I enjoy reading your blog and wish that anyone who doesn’t would just, I don’t know…STOP? I don’t have to deal with the same allergies you do, so sometimes I read a post and then don’t go back to it. That’s it. I don’t complain, become offended or anything else. I just don’t use the information that isn’t helpful to me. But, because I enjoy your writing and ideas, I keep coming back. I sincerely hope that a majority of your readers support you in the appropriate way and over-shadow those who are behaving completely inappropriately. I love this post so much. It is exactly how I feel, worded more elegantly than I could write it. I’m with you nowheymama! And I plan on saving this blog entry for reference for when I feel I need to pull out the “big guns” when I am not able to be so eloquent!! Bravo for your post!! Very very well said. I so wish people could all get back to that basic American ideal. I’m sorry people have been giving you a hard time, but please keep up your amazing blog! I, for one, love your blog. My son has multiple, life-threatening food allergies, so any time I find a place to get great ideas or to build upon great ideas, I am thrilled! Like you, I am so disheartened by the mean-spiritedness of many. I think what you wrote was well said; though, it is sad it had to be said. Thank you for putting yourself out there in your blogs and for letting all of us in. And thank you for sharing some amazing recipes and tips! I have enjoyed your blog and recipes and appreciate what you do. You certainly have helped and I hope you don’t stop for rude people. They are free to skip reading it if they don’t like it…You are appreciated by my family and many others….Thank You! My family and I are BIG fans of your site and always have been. Without your recipes I wouldn’t have found the magic of zucchinis, the secret to homemade ice-cream is marshmallows and my husband’s ultimate favorite — allergy friendly scones. Keep doing what you are doing for those of us that feel you are the Recipe Rock Star of our food allergy world. How rude can people be! I was thrilled to find your blog and I hope that these blindsided activists can leave you and your site alone – there is nothing wrong with a balanced diet including sweets! I love the first posters comment about assuming some people are mentally ill, lol. I’m so sorry you have to deal with this kind of crap. These people are so closed minded, i feel sorry for them (kinda). The food allergy world is a tough one, we all do what we can to keep our kids safe, healthy, happy and nurished. Sometimes there is a fine line drawn there 🙂 there are days im sure my kids are more happy with what they eat than i am, but thats just how it is. I dont think my kids eat unhealthy, yes they eat mcdonalds chicken nuggets every now and then but hey they can’t have the fries, can’t have the icecream and so on…the list of what they can’t have far out weighs what they can. They should get down off their high horse and gain some empathy then google Food Allergies and give their brain a workout (seems it might have been awhile for that) and learn a thing or twenty. Please don’t let this break your amazing spirit! These people have always existed they just have the tool now to voice their unwanted opinions on others behind their cumputer screens. A word to the trolls: If you don’t like what you see here LEAVE! Oh, and do it quietly because we don’t care what you think! This is a fantastic blog for the rest of us! I am so sorry this has happened to you! My 6 year old son has the same allergies and I happened on your blog after discovering Divvies. Please don’t stop! Your recipes have been great and allowed my son to enjoy foods that he would otherwise never get to try! It is truly disturbing but you are so right about this growing trend of oppressive ‘rightism’. At risk provoking associations with ‘the right’ I haven’t found another term yet to encapsulate this prevalent bent and I’m sure it’s not an ‘American’ thing but I have been much more aware of it since living in North America. Perhaps that’s just a coincidence. I just wanted to thank you for writing as you do. As a mother of a 14 month old boy, new to the world food allergy and still getting over our first encounter with anaphylaxis, your blog has been a heartening breath of fresh air. It has been a dance indeed fighting our way through the often unsolicited advice and ‘opinions’ of friends, family and so called ‘professionals’ during this short time whilst trying to get on with the ‘living’. I want my son to be safe but to be able to enjoy food and you make that happen. Well said, Meg. I just enjoy your recipes & ideas. Keep it up. My kids don’t have allergies but they are vegan (I know it’s not the same) and they are kids. I really enjoy this blog, I hope the comments of some don’t make you think all vegans are self-righteous jerks. That being said I’m very excited to try Rich’s whip! Ha! Of course I don’t think poorly of vegans! I’m quite indebted to the vegan bloggers out there for mentoring me through my early days of dairy and egg-free baking. Where would I be without “Vegan Cupcakes Take Over the World”? Probably still crying over another failed batch of cupcakes! Thank you all for such kind words, and for those that took on some of the trolls…thank you! For me, from now on…I’ll make sure I double up on my positive comments when I visit a good blog, to make up for any rude folks that might be hassling the poor blogger! We’re a dairy, egg, nut free home, too! I really enjoy your recipes and appreciate the thought you put into each detail. Sometimes you have to think “outside the box” to come up with safe alternatives for recipes. I totally get that. Also, I love the look of the website: the layout and color scheme. You are a food allergy baking life saver!! We use sooo many of your recipes and I will forever be grateful for the time and effort you have put into this blog to share it with all of us! So thank you!! I’ve just recently discovered you and your blog is wonderful! Our home is a safe-haven for our granddaughter who is allergic to dairy, tree nut, peanut (including airborne), and wheat (she grew out of her egg allergy), her brother who is newly nut-allergic, her mama who is allergic to all kinds of fish (also airborne) and her daddy who is VERY sensitive to wheat and nightshades (which cause severe throwing-up-for-days migraines). 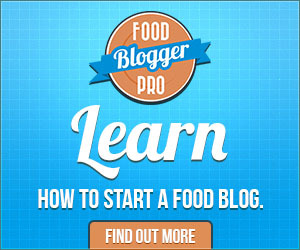 Blogs like yours are life savers for those special treats you really can’t get anywhere else. Thank you Cindy! My pediatric practice had a lot of really bad things happen in 2017, and my creativity was sapped. The practice is doing better than ever now, and I’m finding the time to update the site and write some new posts.